The 8th is another doglegged par 4. 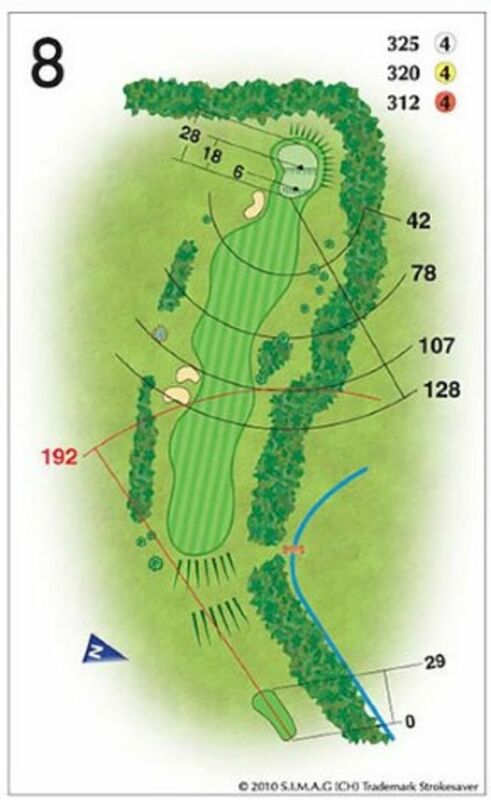 The adventurous player can go for the Tiger Line over the trees to the right of the tee and find the green, but you must be accurate with your drive. Orthodox play is an iron to the middle of the fairway and a short iron or wedge into this two-tiered green, where putting is put to the test.